These are original posts in which i discuss interesting usages of social media, new social media technologies and my thoughts on how the PR industry is using or could be using these technologies. A virtual world is an online community in which users take form of Avatars and interact in a 3D environment. 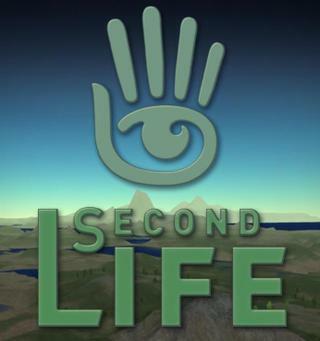 SecondLife is one of many virtual worlds online today. 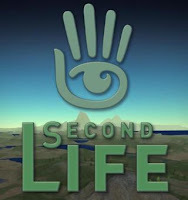 SecondLife is a free online virtual world developed by Linden Research, Inc. Users can explore, meet other residents, socialize, participate in individual and group activities, and create and trade 'property' and services with one another, or travel throughout the world. Avatars may take any form users choose (human, animal, vegetable, mineral, or a combination) or format themselves resembling their real life characteristics. Each user can create one avatar per account, but users are allowed multiple accounts. Users communicate via Instant Messaging, which can be viewed on the screen in-real-time. That's the general synopsis of what SecondLife is. What is interesting about this and other virtual worlds is that businesses and companies are establishing themselves, using and participating in them. "IBM is using the virtual world of Second Life as the next best thing to being there for corporate meetings. The venerable computer maker has established at least one virtual island in Second Life where it has hosted employee meetings." Businesses find that they can save a lot of money by meeting in this virtual world verses trying to fly everyone in for an event. "This past fall, the IBM Academy of Technology held two major events in Second Life. The first was a specific Virtual World Conference for over 200 members... saved $320,000." Virtual worlds could prove to be an economical strategy for companies. 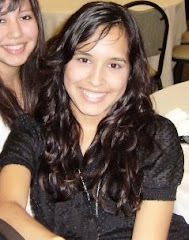 I am a Communications: PR,Advertising,Media student at St. Edwards University searching for new social media tools. Is Facebook Changing Dating for the Worse?